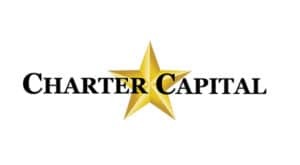 Charter Capital is a Texas factoring company located in the Houston area that has been funding America's fastest growing businesses since 2001. At Charter Capital, we are committed to helping entrepreneurs realize their full potential, as we’re entrepreneurs too and we understand the challenges you face. Our principals have been providing specialized financial solutions to small businesses across the country since the late 1980s banking crisis that stifled traditional lending. We've been the financial backbone for thousands of companies. We value our client relationships and we understand your need for funding on your terms. We offer same-day funding without long-term contracts and no hidden maintenance fees. Our receivables factoring process is simple - you provide an invoice to your customer as normal, then you send us the invoices that you want to factor. We wire cash directly to your company the same day, then wait for the payment from your customer. Your company can grow without the stress of maintaining cash flow and your credit capacity with us increases with your sales, up to $2 million. Free credit checks on your customers. We have a high client retention rate that is a direct result of our outstanding customer service. Our mission is to grow your business by delivering the financial resources you need and the responsive, personal service you want. You get a continuous, flexible source of operating capital without incurring additional debt.